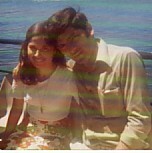 Above Right: With her father, Sarandis. 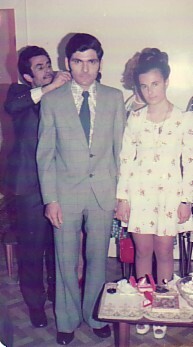 Above: At her engagement, with her fiance, Grigorios Douroudis, and her father, Sarandis. 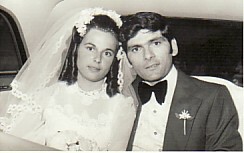 Above Right: On her wedding day, with her husband, Grigorios. 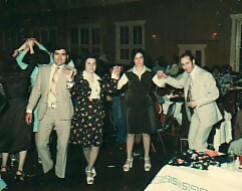 Above: Dancing with her husband, Grigorios, The couple on the right are Aspasia and Panagiotis Dalgitis. Above Right: With her husband, Grigorios.